I am so grateful to Sophie’s teachers — past and present — and to everyone at her school (she pretty much knows them all by name!) 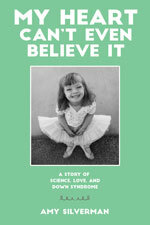 for educating, enlightening and including my little girl. Sometimes, knowing where to begin to say “thank you” can be tough. 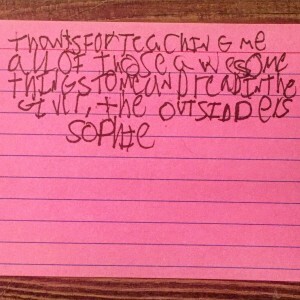 As usual, Sophie gave me the best lesson when it came to a concrete example of gratitude, in the form of notes she wrote last night to her teachers. 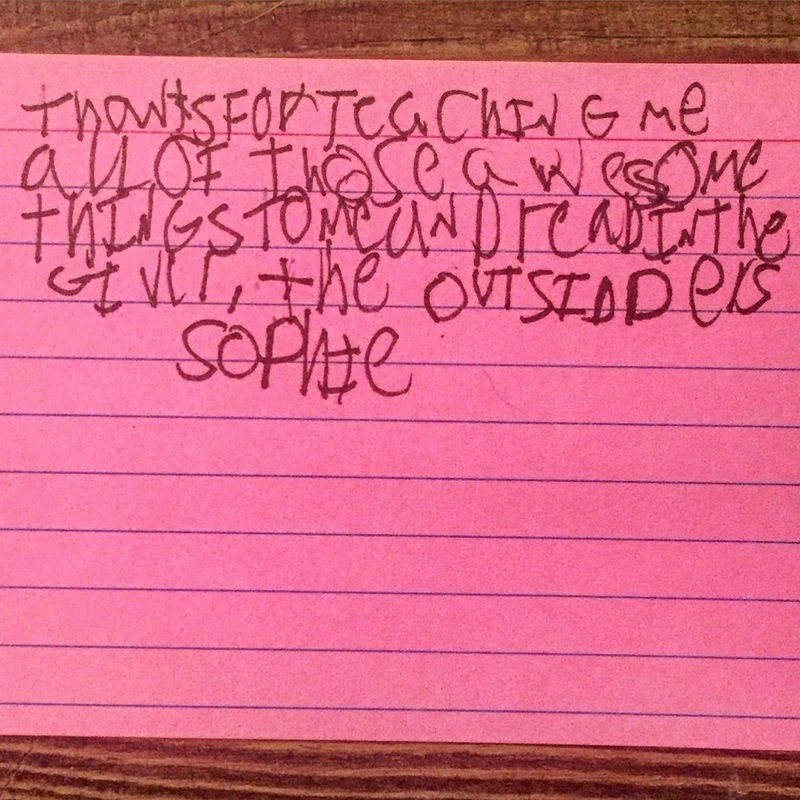 I gave her a stack of hot pink index cards, a fine-point Sharpie and a list, and asked her to write a note to each of her teachers. She’d had a more-than-full day, including homework and ballet class, but she complied happily, occupying herself at the kitchen table and leaving a pile I didn’t turn to till early this morning as I was furiously shoving salt water taffy and iTunes gift cards into bags. I couldn’t have said it better myself. The girl can write. I’m bursting with pride — and gratitude. I am always awestruck by Sophie. What an Awesome way to say thank you to her teachers!!! I can promise you, as a teacher, all these notes go in a special little box that we keep forever. Those notes keep us going. She is the sweetest, Amy. Child of a writer, indeed. Can I just second what KimAZ said?